Rhino Roofing has worked with hundreds of customers to ensure that their roofs are fit for purpose as well as making sure they are finished to the highest possible standard. We work closely with our clients to make certain that they are happy with the work that is being carried out. 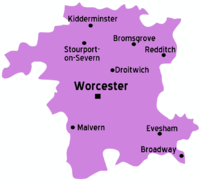 As we are such an established and well reputable business, we are able to provide all sorts of roofing services in Worcester, Droitwich, Bromsgrove, Tewkesbury, Malvern and all of the surrounding areas. Our aim is to provide everything our customers need by equiping them with an outstanding roof job. We pride ourselves on delivering desired results with a friendly, honest and trustworthy service. Our client base has grown considerably over the years, with many of our customers referring to others. Leaking roof? Want a local company? Need a competitive price or quotation? Look no further. Please contact Rhino Roofing today by phone or email. No more painting. No more climbing ladders. Completely maintenance free. Full roof replacement available. Our roofers are highly experienced and will supply you with an incredible roofing service. All work is carried out by our experienced and fully qualified roofers who will make sure you roof is completed at the highest standard possible as well as a quick and efficient service. Rhino Roofing, your local family roofing company.